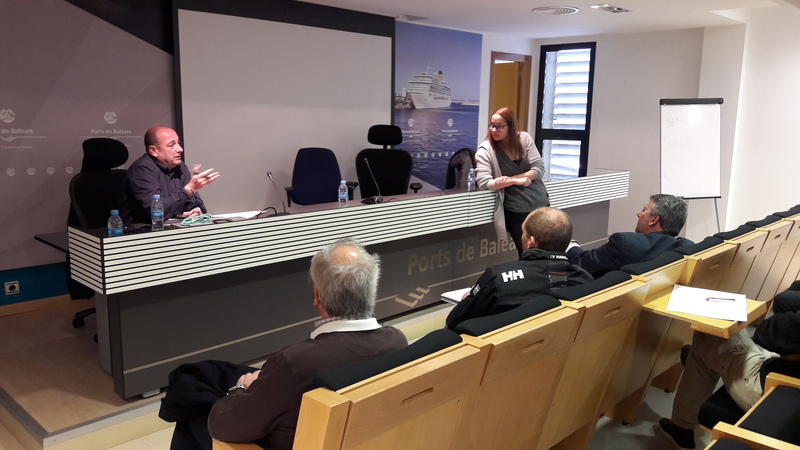 The Port Authority of the Balearic Islands (APB) and Servicios Técnicos Portuarios (STP), the company responsible for managing the biggest shipyard in the port of Palma, have held an informative training session this morning on preventative legal steps when working on vessels. This training was aimed at repair and maintenance workers. The session has focused on presenting the latest developments in Health and Safety at work with regard to the coordination of business operations under the Royal Decree 171/2004 of 30 January. 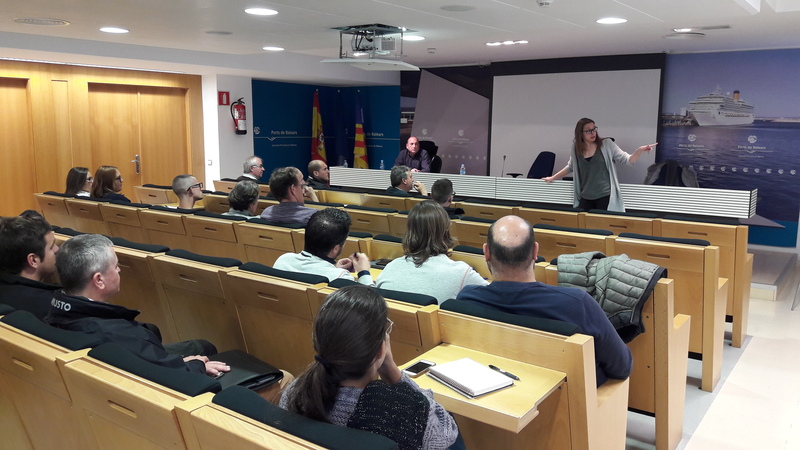 Cristina Gómez, lawyer specialising in international law and conflict mediation, has led the talk, placing emphasis on the importance of information, vigilance and coordination of the business operations which take place in the work centres. As a result, the guidelines of this Royal Decree on Health and Safety at Work has been fulfilled. Gómez has centred on the shared responsibility when it comes to safety, which goes from the shipowner, who in this case is the STP, through the vessel operators, down to the workers on the ground and the companies who hire these workers. 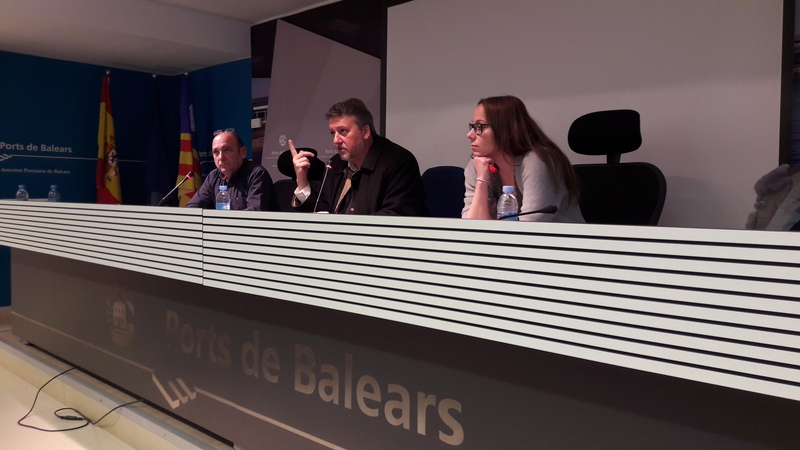 The head of Safety, Environment and Protection at the APB, Josep Aubareda, emphasised the substantial effort on the part of the STP over the last few years in the field of health and safety at work, as well as coordination of the business operations which take place within the shipyard. Aubareda has highlighted that in the past 18 months, there have been no fires in the area managed by STP, which is a common type of incident in these types of areas. The head of safety at the STP, Jesus Dominguez, has praised the high level of fulfilment of the safety systems at his company, both for the health and safety of their employees as well as in meeting the current regulations. Dominquez believes it to be very important to have communication and coordination when it comes to health and safety at work, particularly as the STP model is based on an open shipyard which holds a large number of workers and companies in one work area. STP manages a surface of maritime public land domain of 24,422 square metres, of which 14,743 are land and 9,679 water. It generates 800 direct positions, 1,500 indirect jobs and 600 related posts, without taking into account the crew on board the vessels.